Home / Victrola Coffee Roasters / Perry leaves for Colombia tomorrow! Perry leaves for Colombia tomorrow! Our head roaster, Perry, just checked in online for his flight to Bogota, Colombia tomorrow. Now the wheels are set into motion for an exciting trip to the Monserrate community (in Colombia's Huila Department), where 42 families produce amazing coffee (which you can find at Victrola, by the way). 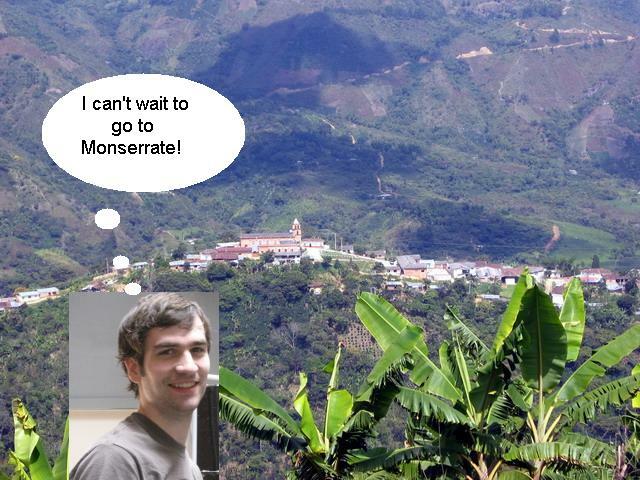 Not only will Perry be visiting the coffee farms, but he will be participating as a judge in the first ever coffee competition within the Monserrate community: "Mejor de Monserrate." In an effort to reward best practices in coffee production and processing at the grower level, Atlas Coffee Importers has been working with the farmers in Monserrate. To encourage them to submit their microlots to be evaluated at origin by an international panel of judges, the winners will receive a cash prize and a premium price per pound for their lots. We'll be looking forward to updates from Perry along the way (if he has time to access the internet, that is), but you can count on him to share his experience (and perhaps some tips on which microlots tasted the best!) when he returns next week. Safe travels and happy coffee tasting, Perry!